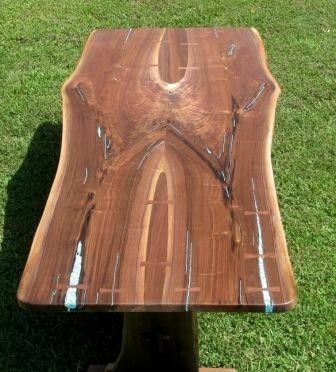 Terry so loved our Woodgenius' inlaid tables that she incorporated gemstones in her stone fireplace and ordered this gem of a table! 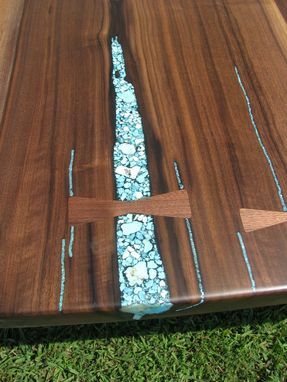 Bookmatched Walnut Slabs join in the center to showcase a dramatic angelwing pattern from the crotch grain. 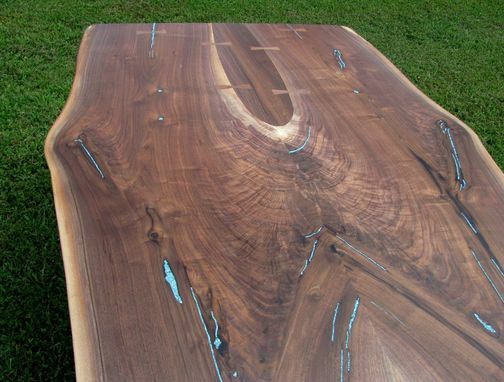 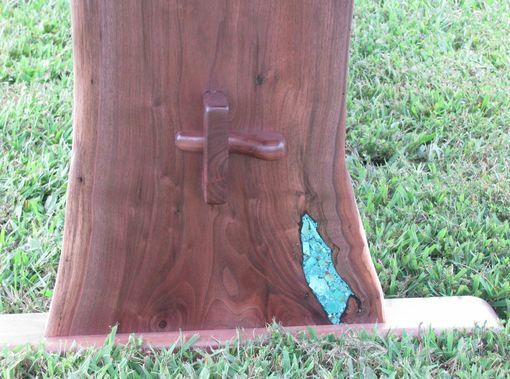 Eight-feet long with walnut inserts, walnut bowties, turquoise inlays, natural edge--this table will add to the enjoyment of Terry and her retired Marine husband's well-deserved beautiful new home!